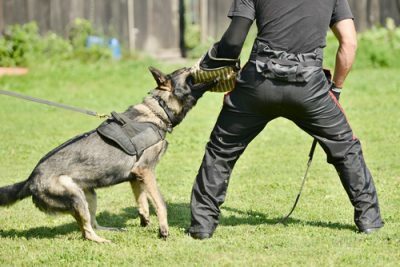 Understanding the dangerous nature of attack-trained police dogs from the perspective of a dog bite expert witness is often ignored in both civil and criminal litigation. Instead, focus usually remains on the exemplary nature of police dog training and a canine’s history of successfully apprehending suspects. Usually little if any consideration is given to animal behavior aspects of the dog’s nature. Animal behavior analysis indicates that attack-trained K9s are not automated, programmed machines, oblivious to the variables that control aggressive responding. Rather, these kinds of dogs make behavioral mistakes in that they attacked the wrong people or that they bite suspects for unnecessarily long durations, at the wrong time, in the wrong circumstances or in an excessive manner. If one looks at the principles of animal behavior science particularly with regard to principles of learning and conditioning, one easily understands why police K-9s are prone to behavioral error. For example, mistakes happen because the act of attack for the dog is self-reinforcing. The reinforcing nature of the response increases the dog’s motivation and arousal to extremely high levels, therefore, increasing the chances of the dog making a mistake. Arousal levels in an attack-trained police K-9 must be kept at moderate levels to ensure optimal performance, according to the classic Yerkes Dodson law. Explaining a police dog’s behavioral nature differs from explanations about the kind of specific training it was subject to by its canine handler. Generally, the methodology for teaching the skills involved in suspect apprehension is not difficult to understand. They involve instilling in the animal through techniques of operant conditioning a tendency to respond to certain commands (from a handler) which elicits aggressive reactivity towards a particular target. In principle, this is not difficult to do from a training standpoint, particularly if one begins such training early in life, and if one works with certain breeds such as the Belgian Malinois, or German Shepherd. No matter how well-trained in suspect apprehension a police dog might be, these animals can easily make behavioral mistakes, such as attacking at the wrong time, attacking the wrong person, attacking a suspect when not commanded to do so, and failing to stop an attack after being commanded to do so by the handler. Because of the behavioral nature of aggressive responding in animals, and despite the extensive training most police service dogs have been subjected to prior to being deployed in the field, they will make behavioral mistakes, thereby causing injury to a victim that was uncalled for or far beyond what was probably needed. The basic principles of animal behavior that govern aggressive behavior are the same across species. They are no different than the principles that govern aggressive behavioral responding in other kinds of dogs (e.g. working dogs, sled dogs, pit bulls, fighting dogs, companion dogs, etc.). These principles can be used to shed light on the inherently dangerous and occasionally unpredictable nature of attack-trained police dogs. As such, some police dogs are unpredictable when deployed in the field for subject apprehension. Note that animal behavior expert opinion and will likely differ from the expert opinion proffered by a police dog handler. Most police dog handlers have no training or coursework in the science of animal behavior, however. 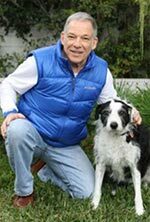 Animal behavior expert opinions do not apply directly to the method or procedures used in police dog deployment or whether it was appropriate to use the force of a police dog to attack a human in any given instance. Rather, they apply to the nature of police dog aggression and the behavioral limitations and capabilities of these kinds of dogs.